Theresa May addressed the United Nations – and almost nobody bothered to turn up. This is the result of seven years of Conservative-led government, along with 38 years of neoliberal political ideology: The UK’s international reputation is in tatters and nobody wants to hear what our representatives have to say. 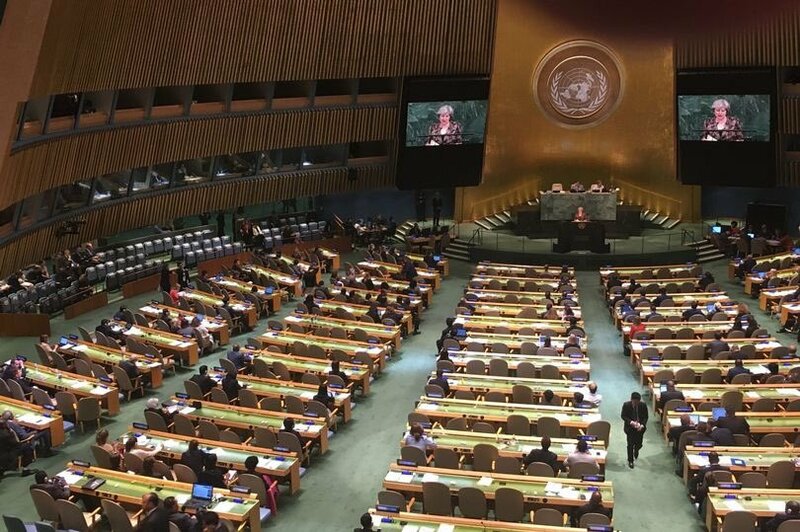 That’s why Theresa May was speaking to a practically-empty hall at the United Nations, when she got to deliver her keynote speech. What’s the point of telling the UN it needs to reform if hardly any of the UN’s members were listening? While Mrs May was speaking, This Writer understands that she made a derogatory reference to countries that break international treaties. It seems she should have checked one such treaty that the UK has signed, before opening her mouth. The report goes on to say: “Several States Parties appear in direct violation of legally binding Treaty obligations by continuing to supply arms to Saudi Arabia where there is a clear risk that they will be used in breach of international law in Yemen.” The UK is among those states. The fact is well-known so Mrs May was branding herself – and by extension, the whole of the UK – a hypocrite by attacking others for doing exactly what she has been doing: Breaking an international treaty. Ah, but Mrs May is a Conservative, isn’t she? They don’t think they have to abide by any rules other than those they make up for themselves. At war with Yemen? It’s a one sided war . Not so Strong and Stable then ?? May is a boring speaker she waffles on and doesn’t actually say anything with all the words she uses. I have just been told this is fake news please say it is not.